Dejan Zečević was born in Belgrade (1972). 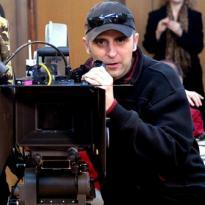 He graduated in film and television directing at the Faculty of dramatic arts in Belgrade, as the valedictorian. He is a Serbian director who has made eight feature films up to now, six TV series, several short films, television film and numerous tv advertising commercials in Serbia. He has participated in many international film festivals and in all regional and domestic festivals. In those festivals, his films have received more than 100 prizes.